It's been a few months after the show and I'm still pinching myself to see whether everything really happened. 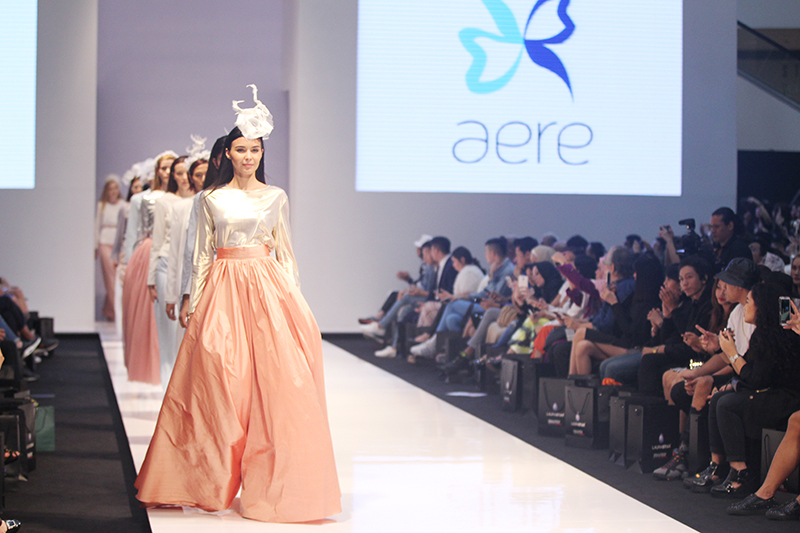 One of my happiest moments of 2015 was being given the honour of having aere's Essence of Grace collection showcased at the Kuala Lumpur Fashion Week 2015. It's a really big milestone for aere and myself just a few months after aere Fashion Show : Part 1. Considering aere had just started less than a year, to be invited to showcase at KLFW 2015 was just too surreal for me at the time. I didn't expect it at all. I had a moment backstage in the midst of the craziness and drama just before the show, when I almost teared up and was thinking to myself: it was only just a year ago that I was attending KLFW just as a guest to watch shows, and at that time it never crossed my mind and I wouldn't even have imagined that I would be backstage for my own label. It wasn't even a dream. Having and running a label and being able to showcase my label at KLFW is beyond my dreams and imagination. Alhamdulillah. Of course, it wasn't all about being on cloud nine and living the dream. Nothing rarely is. Once the window of opportunity opened, you got to work real hard and pray harder to make it happen. I couldnt sleep for weeks to work on the planning and everything else (I plan to blog about that too!). Before the show, I was a nervous wreck worrying whether everything is in place and if there was anything more to do to make it perfect. But during the show itself, it was really overwhelming and I remember feeling high at the time but couldn't properly express my feelings. Massive aere supporters and lovers from Day 1. 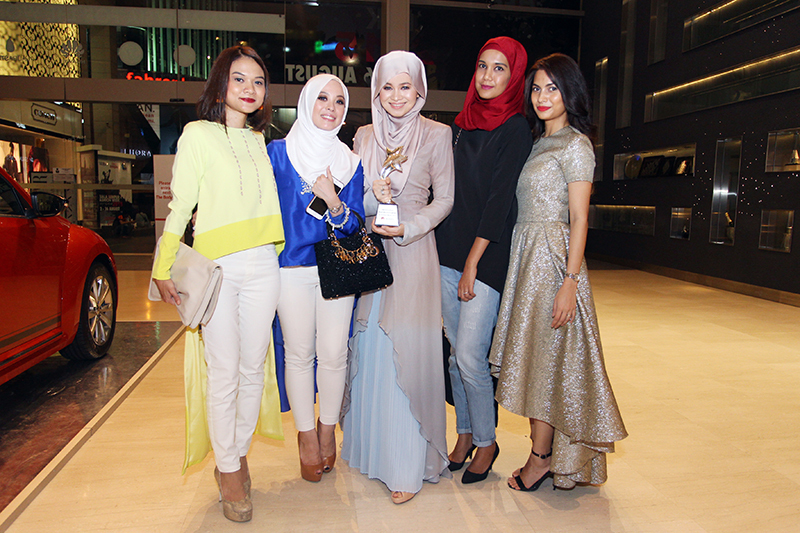 Vivy Yusof, co-Founder of Fashion Valet and FV Buyers Jaja Anuar, Roselyn Khan and Intan Shahid. They were there at the KLFW finale show when I received the award aere won for Best Womenswear Award at KLFW 2015 by Huawei. The finale walk. The show was opened by the graceful and beautiful Inna Gorelli. I can't even describe how I was feeling! I was so nervous because there were just so many people and the place was filled with so many people from the fashion industry. Truly humbled and grateful for the opportunity and for the recognition. 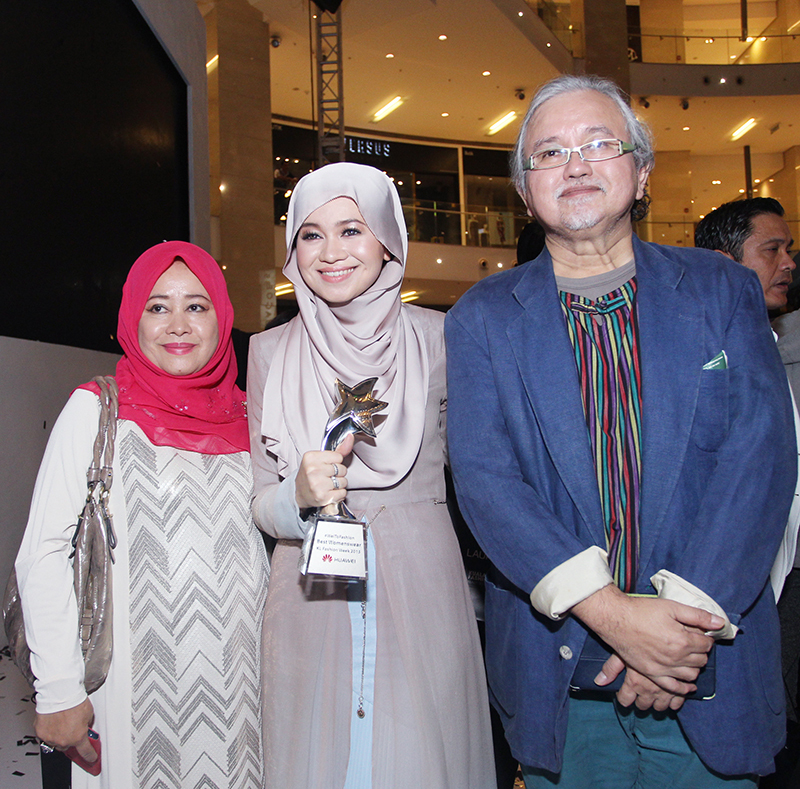 Winning aere's first award ever Best Womenswear RTW collection at KLFW 2015. Thank you KLFW and Huawei! Alhadulillah and all praises to the Creator for this blessing. My bestfriend. My love. My husband. Strong lover and supported through the good and bad, through hardship and ease. 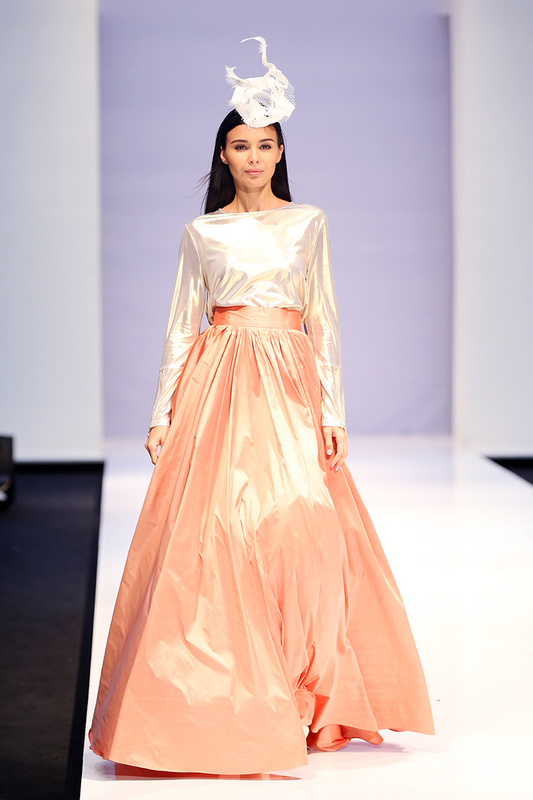 Below are two of the many of my fav looks from aere's Essence of Grace collection showcased at KLFW 2015.
aere's DEA Reversible Cropped Metallic Top and AURELIA Tulle Skirt which will be released online in 2 days time! This Monday! Final bow after all the craziness backstage. I was so nervous to come out!! My two very own VIPs, beloved parents. My pillars of love and support. The ones who shaped me to be the person I am today. Anyways, in this post I'm just too excited to be able to share the official photos and video of the event. I get goosebumps when I watch the video and see these photos. I'm truly blessed by all the love and support from my family, relatives and friends around me as well as my social media friends, followers on IG and of course readers of this blog who have been sticking with me. Enjoy the official video and the photos and I will definitely post more about the show in the near future. Behind the scenes chaos, the people who came and support, receiving the unexpected best womenswear award, mood board and sketches as well as how I presented to the committee of KLFW before they decided to let aere be in the show. 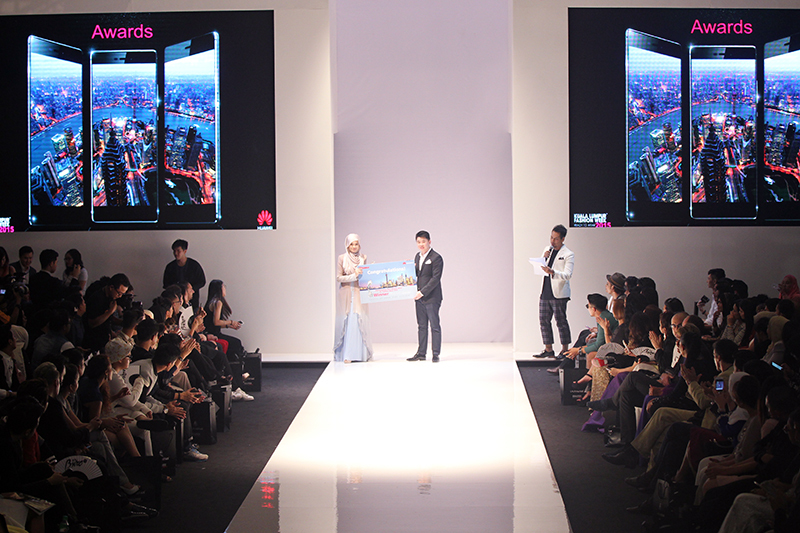 I wore the finale dress straight from the run-way fashion show to receive the award on KLFW's closing night. Check out www.fashionvalet.com/aere to view and shop the first release of aere's Essence of Grace collection this coming Monday. There's also a big surprise on that day so stay tuned to aere's IG too. Oh wow congratulations!! 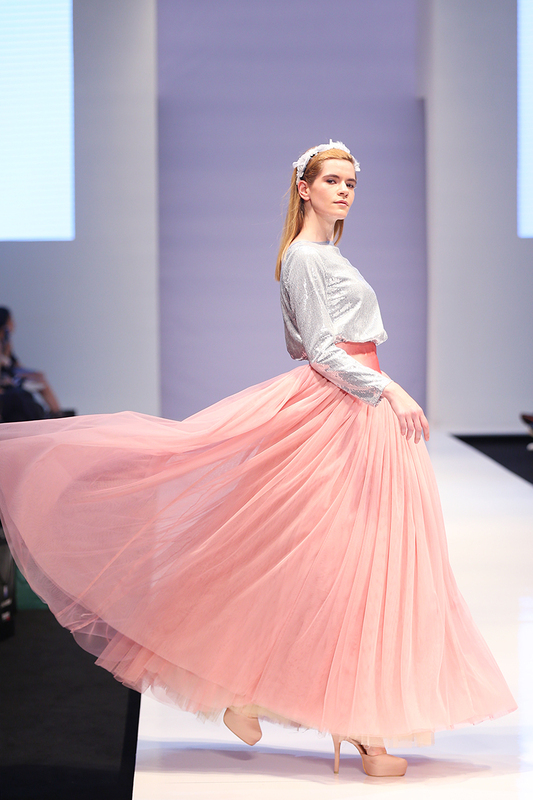 !so proud of your achievement!love the tulle skirt.will try my best to get one!congrats again! Congratulations Breen!.. such an amazing collection. Love the colours and different materials that u've put forward.. both the softness and structured design.. truly represent grace, feminity and strength. XoXo !! !